LOTO (Lock Out Tag Out ) is a mechanical device which is used for locking the individual valves of any size in open or close position . LOTO can be mounted on valves having handwheel or lever. 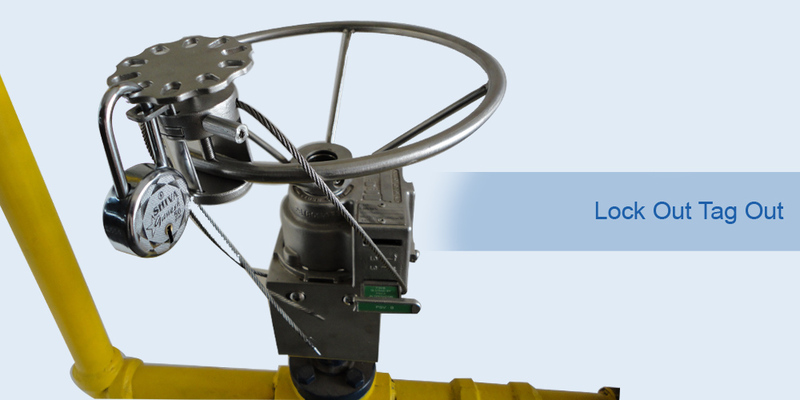 LOTO is directly mounted on the valves with a wire rope arrangement & locked with a pad lock. Multiple pad locks can be installed in case of extended safety requirement.